"Society is in Trouble" and here's some advice. 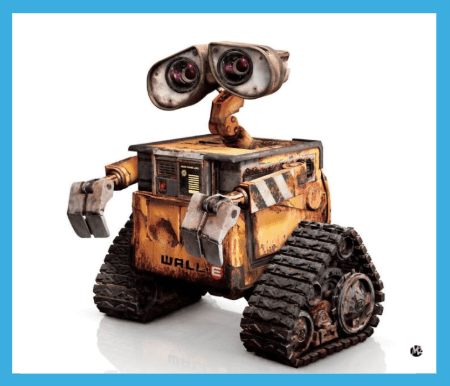 The movie "Wall-E" was a movie a friend suggested I watch. I loved it! It told a love story between an "old school" robot and a modern sleek and sexier version of A.I. The part that was a bit unsettling was how close to real life it nails down with society getting a bit unfit due to automation and new technology. Not so long ago we had to physically work hard to survive...and as time has gone on people are less physically active than ever before. Like all "Disney like" movies, it ended well. Today however I'm not so optimistic about what I've watched for over half a century society-wide and within my own client base with young clients in their 20-30's. I'm not likely to "sell" you cotton candy and Koolaid...but I will help you get a very real handle on your personal fitness reality. A total alignment of your lifestyle to ensure what matters is dealt with in a comprehensive program that includes a better diet based on whole food plant based nutrition and a strength program appropriate to the season in life youre currently able to support...not what you used to do or wish to do...but a gradual progression based on your life today. Give me a call and we can map out a program for you. Previous athlete of the military? I got you. First time and want to not overdo it? I got you too. Today there's a mountain of information to sort through and like most marketing...it very often it lacks some specific individual case by case variations that sometimes get overlooked.